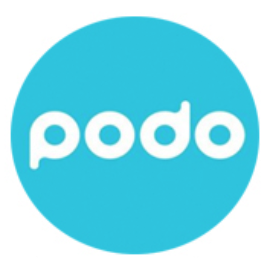 When you first receive Podo, be sure to remove the plastic film off of the sticky pad that is there for protection! You can discard the film if desired. 1) Gently wipe the sticky pad with a wet finger. You should feel the dirt rolling off and the pad feeling smooth. 2) Allow the pad to dry fully by wiping it with a dry finger and letting it air out for a minute or two. Using hot air such as a hand dryer or blow dryer will warm the pad and make it even stickier. Sometimes the pad can get into contact with chemicals that coat the pad. We find that rubbing alcohol sometimes helps clean the pad.